All herd Guards are Guaranteed, are all wethered. Please give us a call and we are happy to talk about guard numbers in various terrain and flock numbers to be guarded. 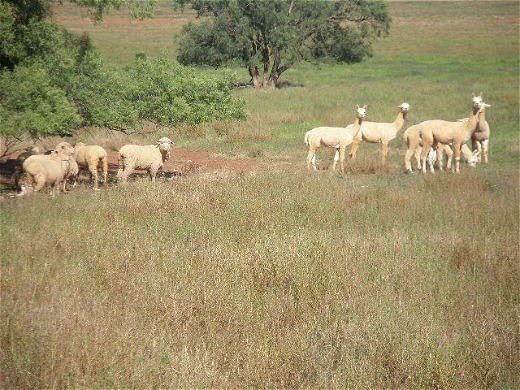 We are able to speak from 10 years hands on experience as we run a commercial sheep enterprise on our property in Condobolin and can reccomend from the results that we have had, the use of alpaca wethers as stock guards and shepherds. Orders taken.